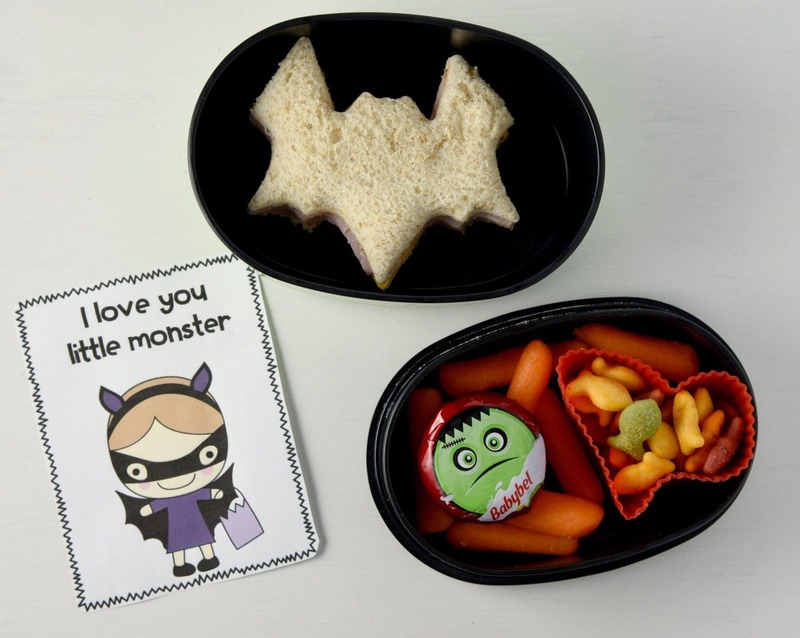 These free Halloween lunch box notes are perfect for boys or for girls. They will be sue to bring a smile to their face when they sit down for lunch this Halloween season. 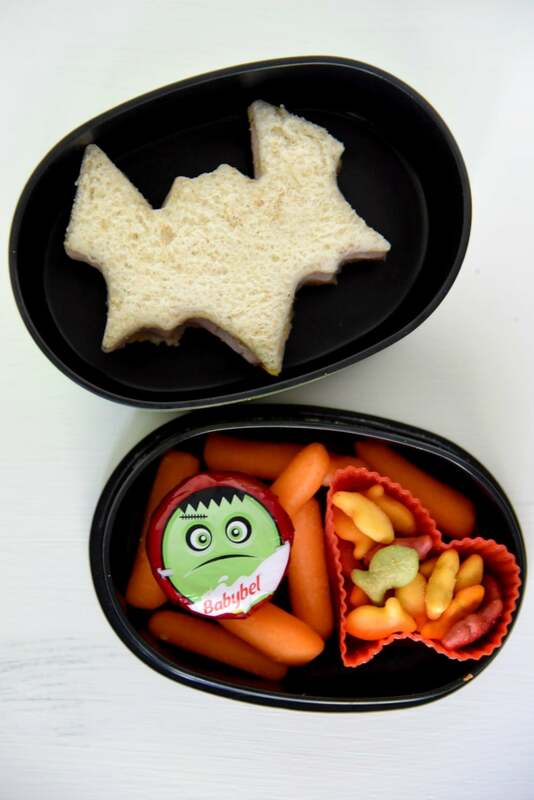 Pair them with these fun Halloween school lunch ideas to give them a special “chill and thrill” during lunchtime! LOOKING FOR MORE HALLOWEEN FUN? CHECK OUT MY 20 EASY HALLOWEEN CRAFTS FOR KIDS AND MY CRESCENT MUMMY HOT DOG RECIPE! When my kids were going to their in-home daycare before preschool, I used to make them adorable little bento box lunches. I got creative and made them themed for each holiday or occasion. When they started preschool I wasn’t allowed to bring their lunch anymore so I kinda got out of the habit of making these cute lunches. 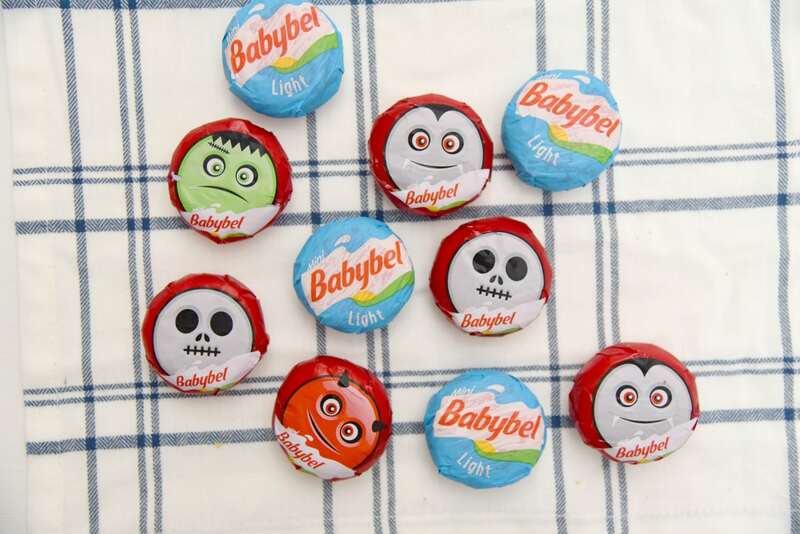 Every once in awhile I still love making them special themed lunches and today I have an adorable kid’s Halloween themed lunch idea using one of our favorite cheeses, Babybel. Mini Babybel® is the snack cheese with the great taste experience that the whole family will enjoy. They are the perfect portable snack for kids’ lunchboxes. Made with 100% real cheese, these fun little cheese snacks are a good source of calcium and protein. Mini Babybel® is fun, delicious goodness for the whole family! My daughter loves opening her Mini Babybel®, there is something fun about opening these little guys. 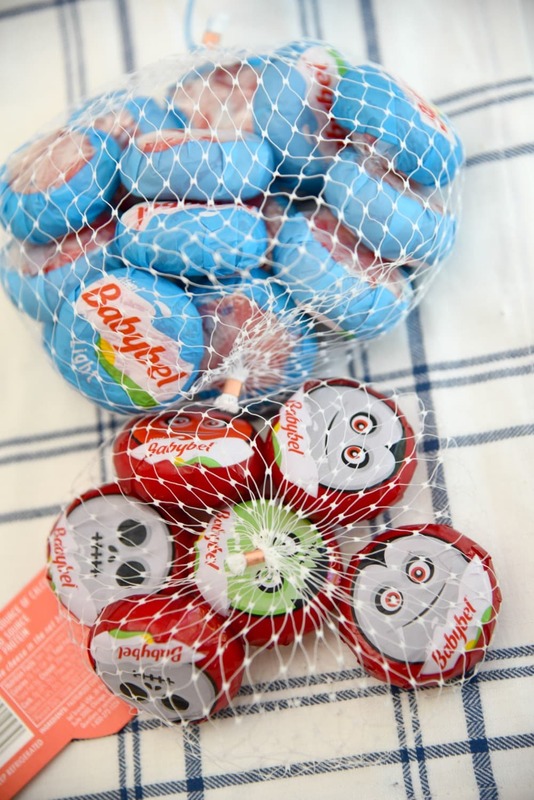 I had an idea for easy Halloween treats for school as soon as I put the Babybel in my cart. Creating a themed lunch doesn’t have to take a lot of time or effort, yet your kids are going to get a kick out of opening them. All you need to do is find a themed cookie cutter to cut your sandwich with, some fun side items like shaped crackers and carrot sticks and of course your Halloween themed Mini Babybel® snack. 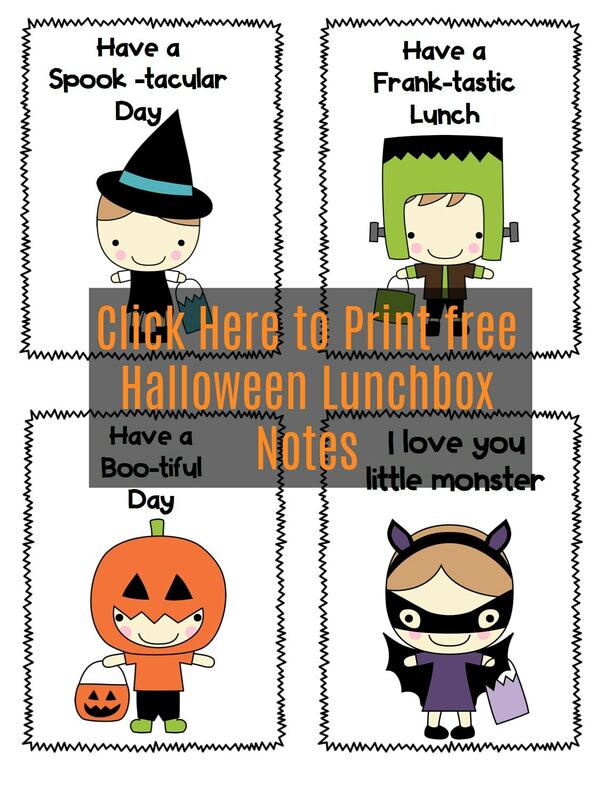 To make things even more fun, I created some free printable Halloween lunch box notes that you can include in your child’s lunch box. Do you make these often? I love to surprise my kids with little lunch box jokes and notes of encouragement when I know they need it. To get your these free printable lunch box notes, simply click the picture below. You will get a page filled with 4 different themed lunch notes. Then just print and cut! ALSO, CHECK OUT MY FUN DIY “TAKE ONE” SIGN TO MAKE THIS HALLOWEEN.